Merry Christmas Monday!!! I am so excited to be sharing with you my first project in this series. 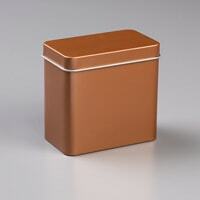 It is a fast and easy way to dress up the Copper Tea Tins in the annual catalog. You only need three products to make this project, Copper Tea Tins, Joyous Noel designer series paper and Copper/Merry Merlot ribbon. This tin is perfect for tea bags, candy, little note cards or jewelry just to name a few ideas. 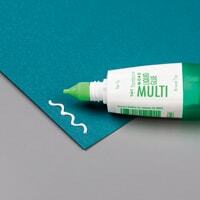 I used Multipurpose Liquid Glue so that I would have a little bit of time to adjust the paper as I wrapped it around the tin. 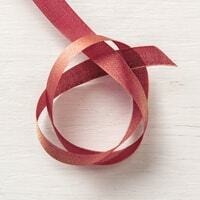 I made a double loop bow using the Merry Merlot and Copper ribbon and used glue dots to adhere it to the tin. Stampin' Up! is making their promotional Dashing Along Designer Series Paper (item 149903) available for sale at ($11.00 USD/$15.00 CAD). 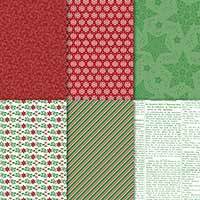 This beautiful, 12" x 12" traditional Christmas paper has a festive, eclectic feel and is perfect for layering. Coordinating colors are Cherry Cobbler, Garden Green, and Whisper White. Tomorrow I will be on my way to Orlando for Stampin' Up! OnStage. I don't think I am going to get much sleep tonight as I am way too excited about meeting up with friends and making new ones. On Wednesday I get to go to Epcot for the Food and Wine festival. Yummy!! I will be posting on Thursday and Saturday this week. Make sure to check back to see my swap card I made and a Thanksgiving card. Thank you for stopping by today! I hope everyone has a great week! 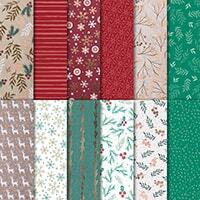 I'm bummed out the Jouous Noel paper is gone! It's so gorgeous and looks beautiful on this tin. Have fun at OnStage! Can't wait to see your pics from the event and the catalog! I am bummed too! 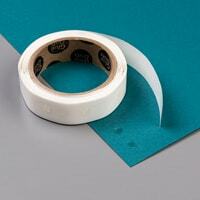 It is beautiful paper. I am sure that is why it has already sold out. Thank you! I am so excited I know I am not going to sleep tonight.